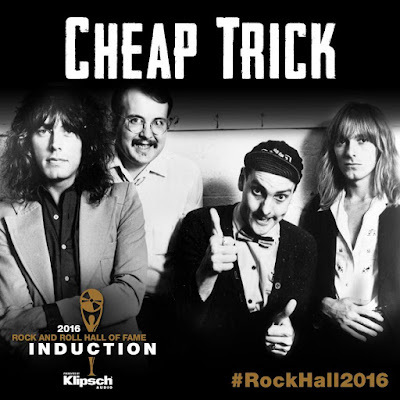 Cheap Trick guitarist Rick Nielsen has issued a statement on the Rockford, IL band’s nomination for the 2016 Rock And Roll Hall Of Fame. The band were revealed as 2016 nominees on Thursday alongside Deep Purple, Yes, Steve Miller and The Cars, among others. The band’s first nomination comes after being eligible for entry since 2002, 25 years since the release of their first single or album. With few lineup changes through the years, the band continued releasing new material and they recently revealed plans to issue a new album in 2016. Original drummer Bun E. Carlos was removed from the touring lineup in 2010 and still remains an official member of the group; Nielsen’s son, Daxx, has been handling drum duties for the past five years.